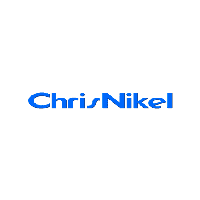 *THE CHRIS NIKEL ASSURANCE--162** **Point Inspection by a Certified Technician--Fully Serviced--Fresh Oil & Filter--Good Tires & Brakes--Detailed to a Showroom Shine--AND MUCH MORE to give you many miles of worry free driving. Come by and see for yourself. * Chris Nikel Truck stop is Northeast Oklahoma's source for Pickups. With over 300 trucks to choose from and certified truck specialists we are sure to have the perfect Truck that suits your needs and fits you budget. For more information about this truck, to check availability, or to schedule a test drive call *918.355.5000*. You'll see just how easy it is to get your NIKEL's worth.